- The original warm hair serum. - Moisture-restoring sunburn and chemically treated hair. - Enriched natural ingredient repairs tangled hair. - Prevent split ends and enhance hair gorgeous shine. 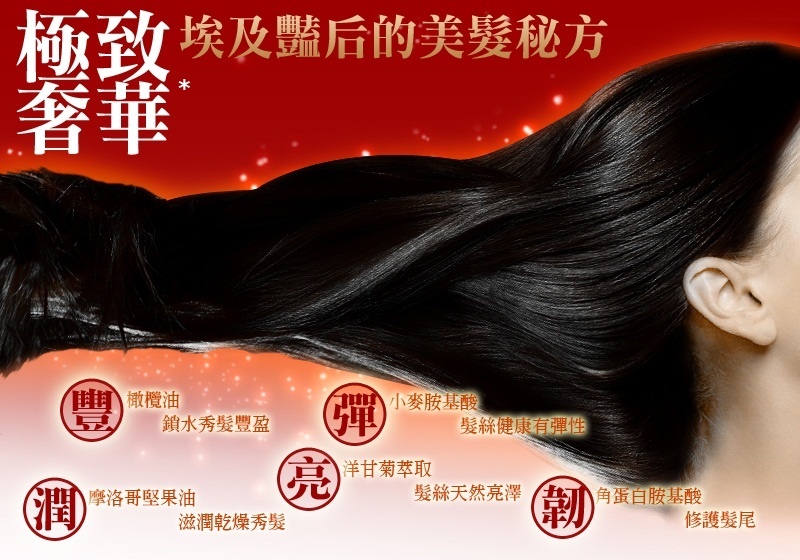 Warm and leave in serum Chinese Herbal medicine that repairs cuticle scales and heat involved deeply. Amino Acids and Moroccan oil work to effectively nourish hair and stay healthy. Dry and wet hair types are suitable. Smoothing frizz, dry and damaged ends leaves looking gorgeous, shine and silky scent. Argan Oil, Olive Oil, Shea Butter, Aloe & Chamomile & Vegetarian Complex, Curcumin, Trehalose, Rose Hip Extract, Wheat Amino Acids, Aplit and Complex & Slik, Amino Acid, Green Tea Extract. Smooth damaged cuticles to leave hair feeling silky and lustrous. Apply moderate amount of the serum and lightly massage onto wet to dry ends. Do not rinse and style as usual. If there is cut, rash or skin disease, please do not use this product.